Properties in Municipality of Palmela average 4.7 out of 5 stars. Spacious Condessa Central III apartment in Baixa/Chiado with WiFi & balcony. Property 29: Spacious Condessa Central III apartment in Baixa/Chiado with WiFi & balcony. Brand new for 6 in Grace! Property 42: Brand new for 6 in Grace! Comfort and Tradition History in Lisbon, with a view of the tram 28! 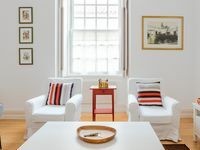 Property 45: Comfort and Tradition History in Lisbon, with a view of the tram 28! Excellent property, an example for other VRBOS to follow! The three of us had a wonderful time at this apartment! 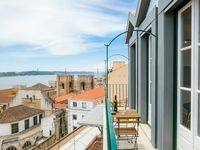 Good location in Alfama, very clean, wonderful view from the terrace! Highly recommend.